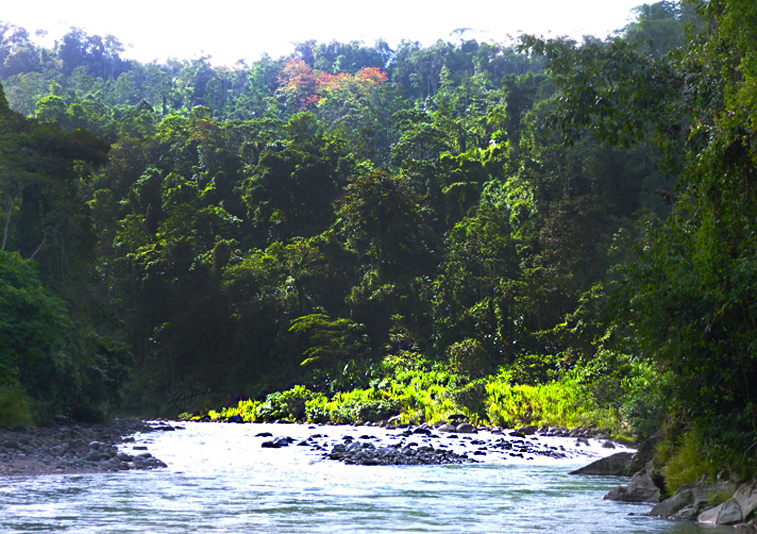 This exceptional property is located in the breathtakingly beautiful Pacuare River Valley. 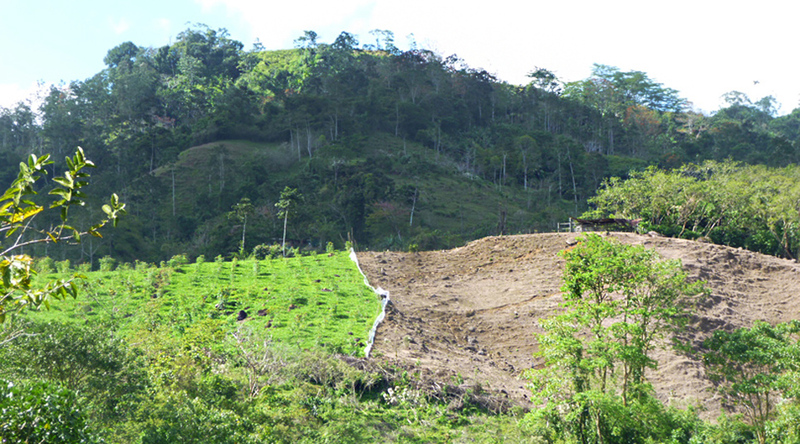 Half of the land is currently given over to agriculture, while the other half is pristine rainforest. The land includes a corral and a charming wooden house with spectacular views of the valley from its wrap-around balcony. Adjacent to the house there is a "pulparia" or local store that is a small ongoing business. The open-sided store has a pool table and serves as an meeting place for the inhabitants of this small rural community. The locals that frequent the establishment include members of one of Costa Rica's few indigenous tribes, the Cabecar Indians, who live a short distance away. 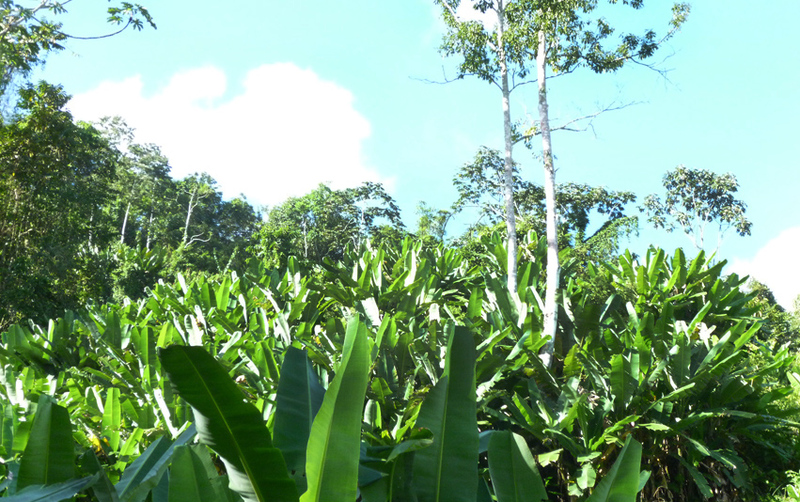 The plantation is mainly composed of a mixture of yucca and coriander, as well as several hectares of a species of banana whose leaves are used to make tamales. 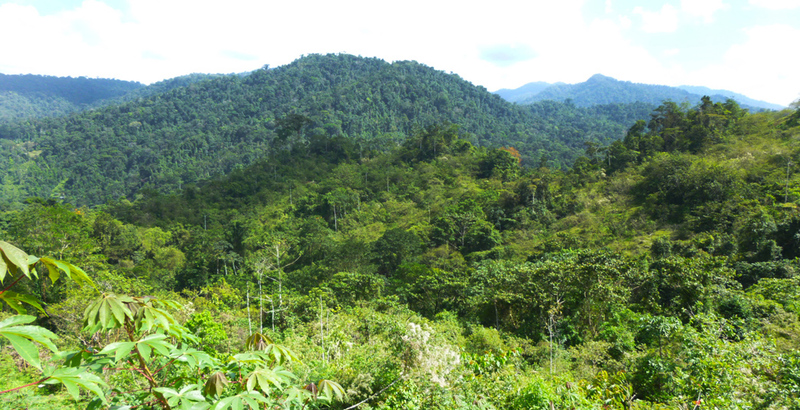 The remaining 30 hectares are steep-sided forest overlooking the Pacuare River. A high ridge that is at the property's peak is crowned by an ancient old growth Ceiba tree that towers above the valley. 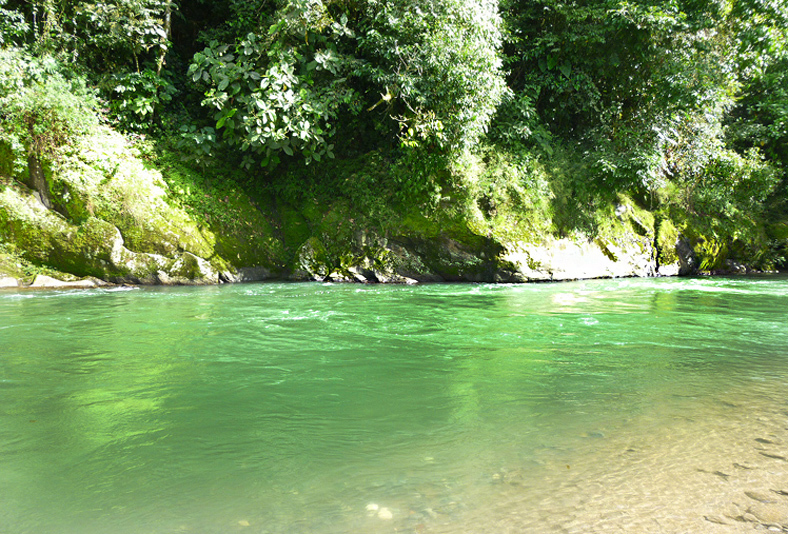 The property includes a kilometer of rare river frontage on the legendary Pacuare River. 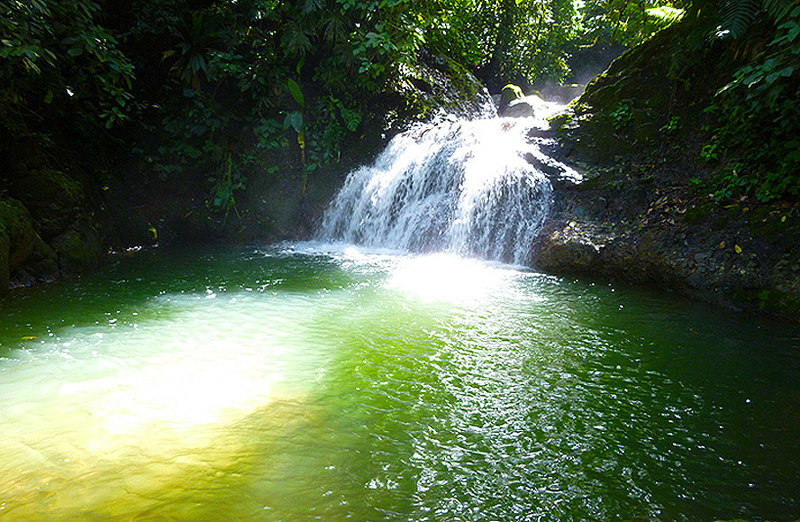 The Pacuare is one of the jewels in Costa Rica's crown. 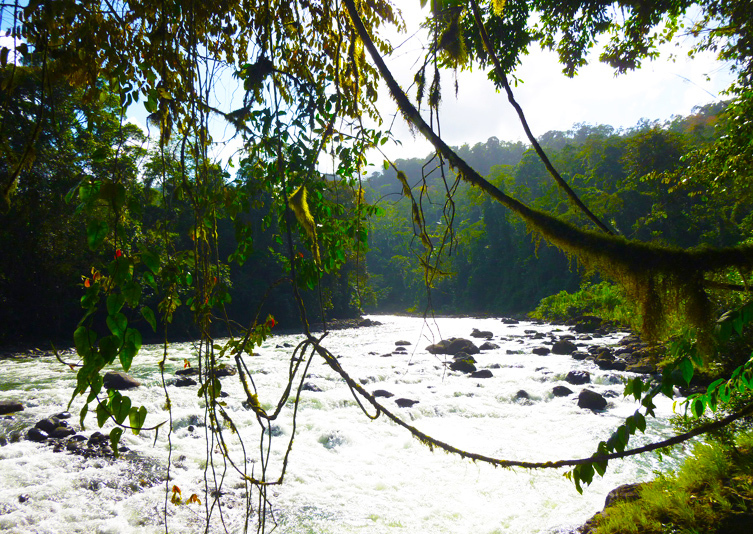 It has the best white water rafting in Central America, and has been named amongst the most beautiful rivers in the world. 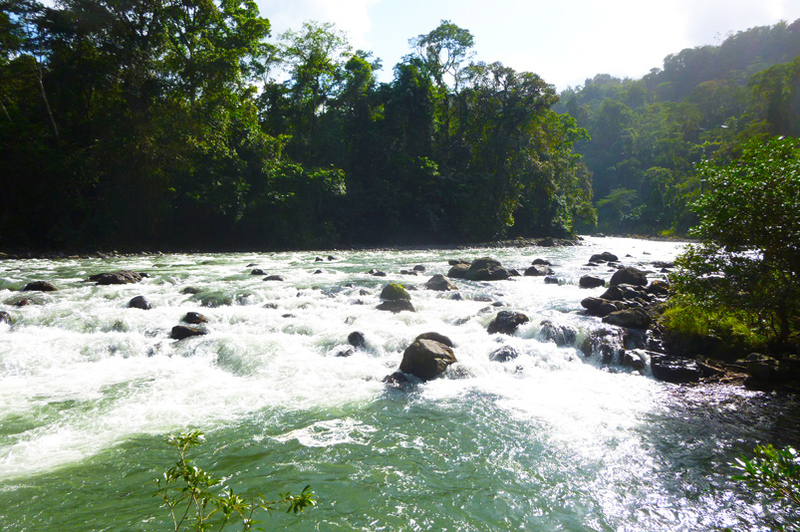 The river frontage encompasses a hectare of flat land on a bend that never floods, which is ideally suited to the creation of a white water rafting encampment. 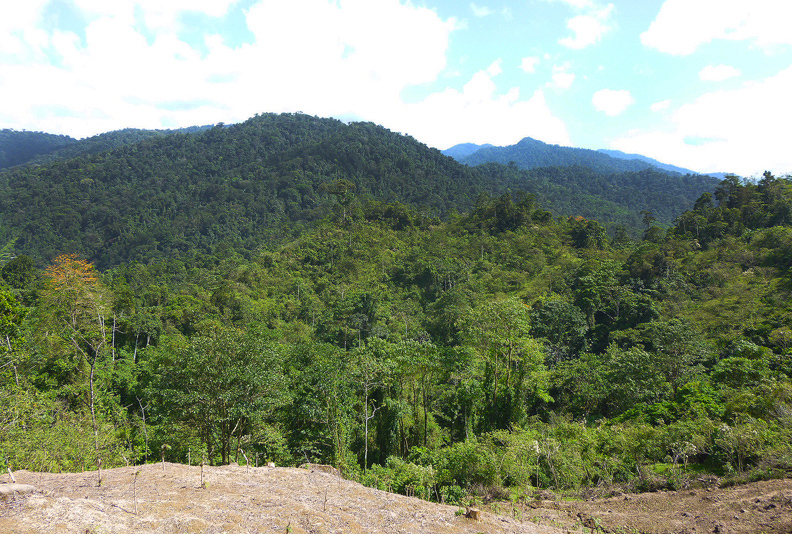 Many people have offered to buy this land in the past, but it is only now available exclusively through the Jaguar Project due to the owner's respect for our mission to reforest the biological corridor. 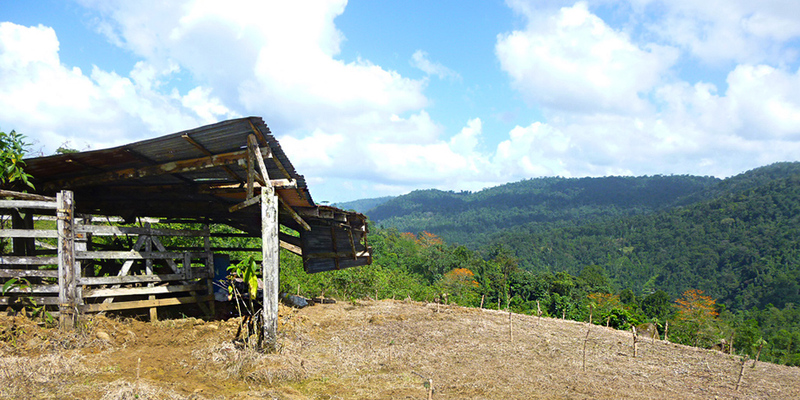 This is a unique opportunity to purchase one of the most sought after pieces of real estate in Central America. 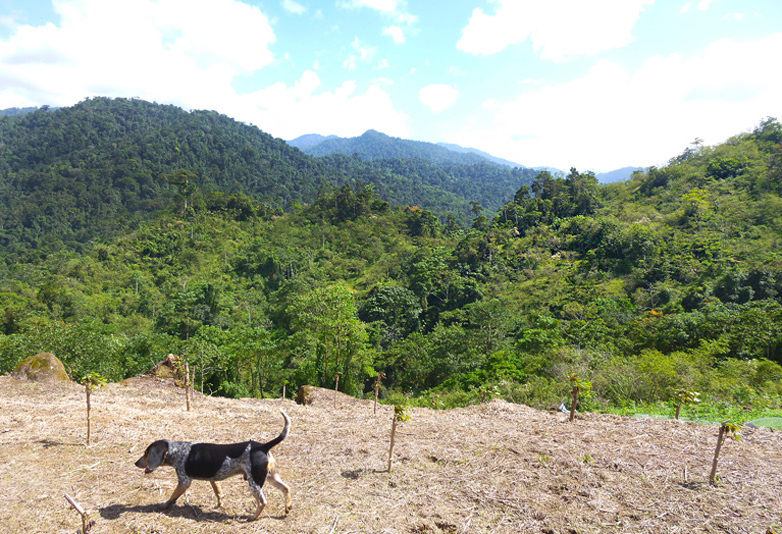 There are several flat spaces within the plantation with excellent views out across the valley, which are ideal for the creation of a small, sustainable eco-tourism enterprise or a dream home in harmony with nature. 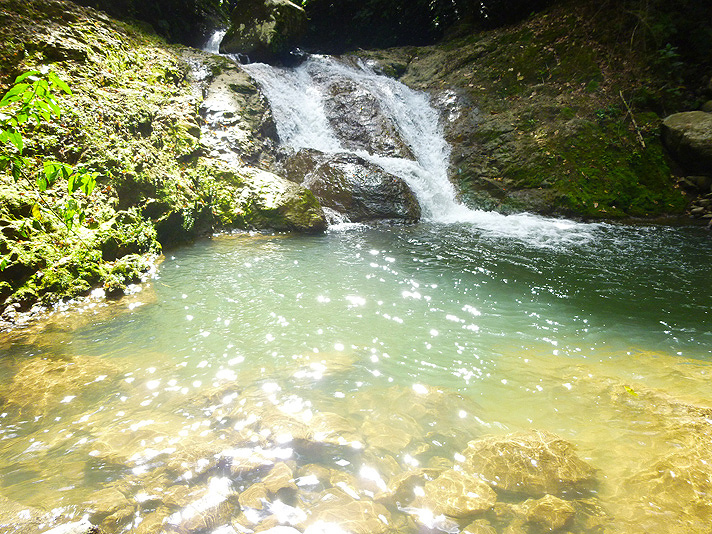 Two large streams flow right through the property which contains a total of ten waterfalls, two of which are spectacular and feed into large, deep swimming holes surrounded by lush tropical vegetation. This is a priceless tropical paradise that urgently requires responsible environmental stewardship. 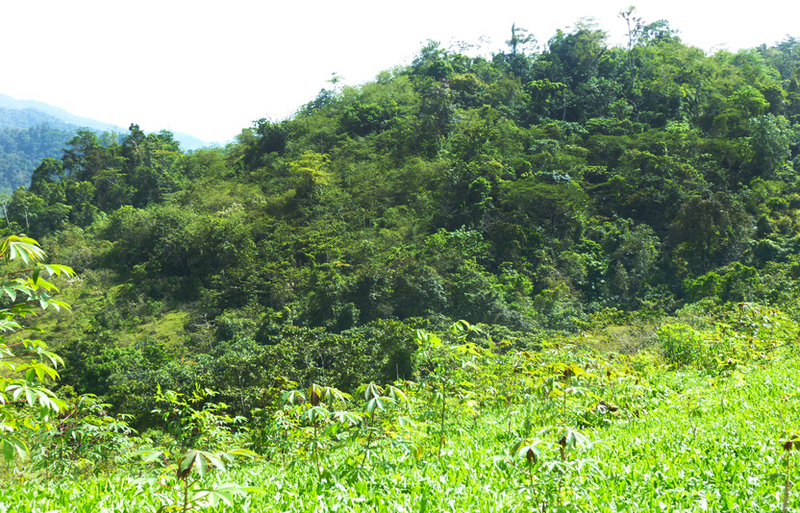 The location of this property makes it a particularly important component of the Barbilla-Destierro Biological Corridor, which is one of Central America's most important jaguar migration routes. 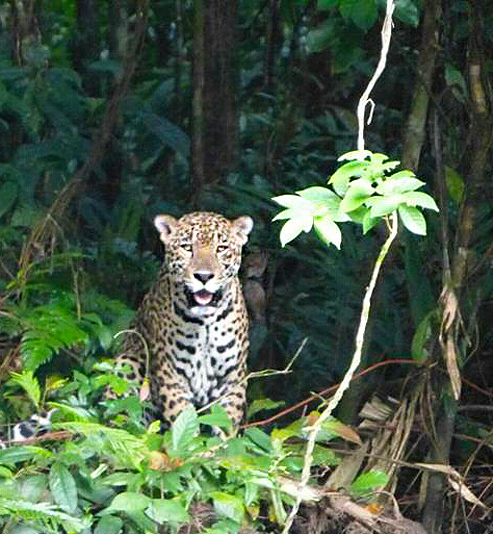 The jaguar photograph below was recently taken just 200 meters from the property's edge. It is a testament to the presence of large felines and to the pressing need for conservation. 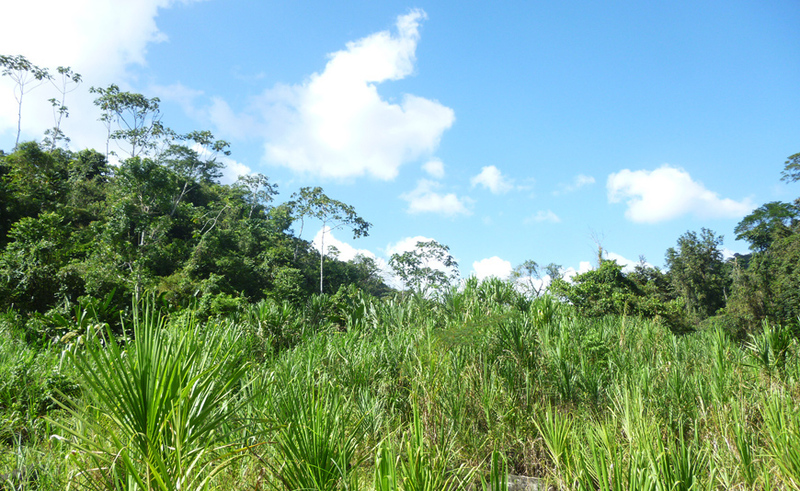 The expansive plantation urgently requires reforestation in order to help restore this tropical paradise to its true potential as a wildlife haven and vital link in the biological corridor. 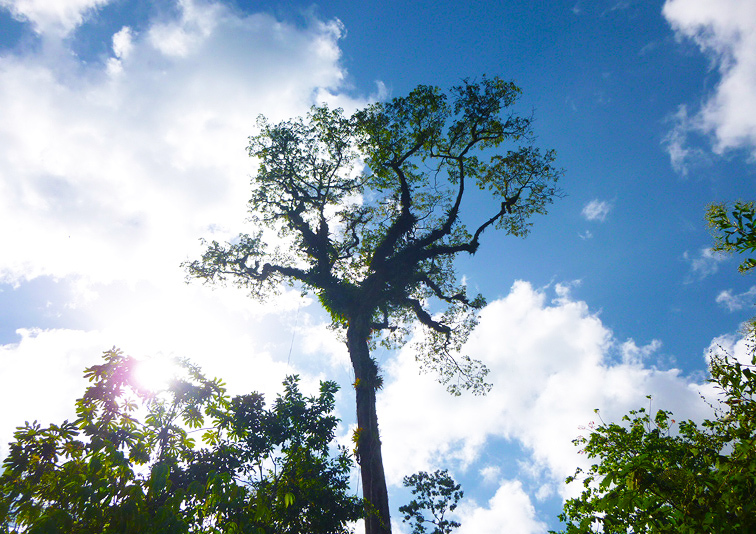 The Jaguar Project can help facilitate substantial financial support from the Government’s FONAFIFO program in order to help fund reforestation. This program can also provide funds in return for the protection and preservation of this property’s 30 hectares of existing rainforest. 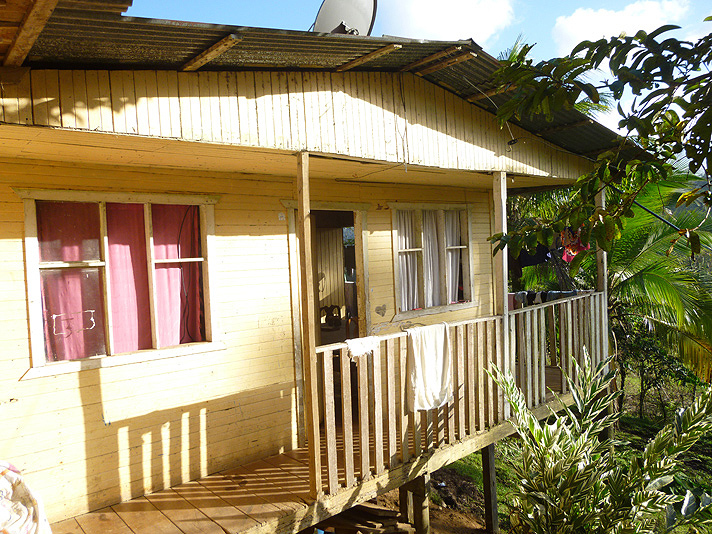 The property is 10 minutes drive from the main Siquirres - Turrialba highway along an unpaved road. Siquirres provides all the necessary amenities and is just 25 minutes away, while the bustling tourist hub of Turrialba is 45 minutes drive away. A local store is within walking distance, and an excellent bar and restaurant are located just 10 minutes drive from the property. The unpaved road surface is reasonable in quality up until the last 100 meters, after which a 4x4 is necessary. The property is situated at the end of the road and marks the place where civilisation ends, so there is absolutely no passing traffic. 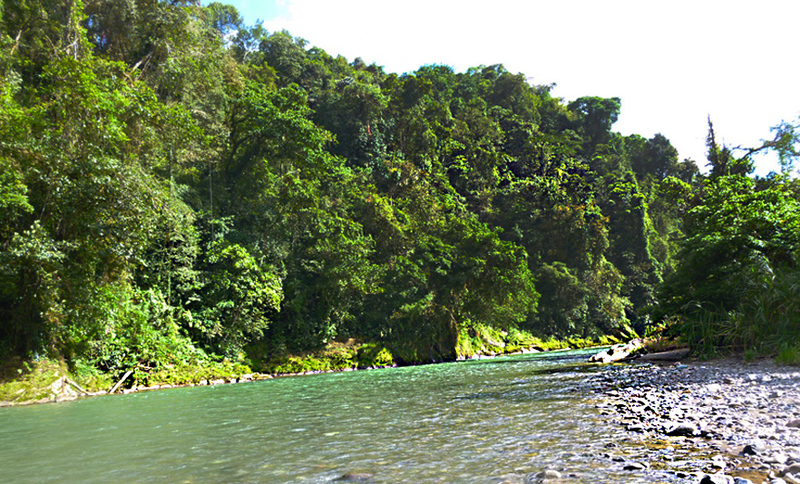 The Pacuare River Valley is two hours drive from the capital San Jose, and just one hour from the nearest regional airport at Guapiles. 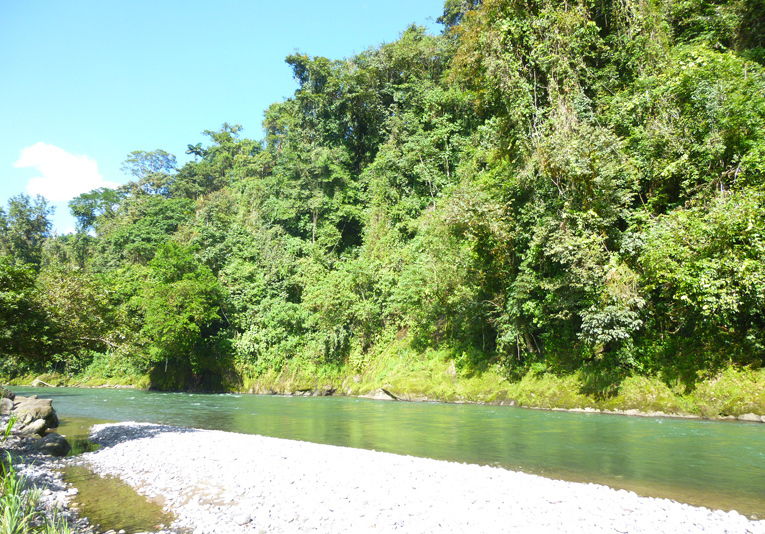 The Pacuare is exceptionally well located within Costa Rica and is surrounded by National Parks and Forest Reserves. 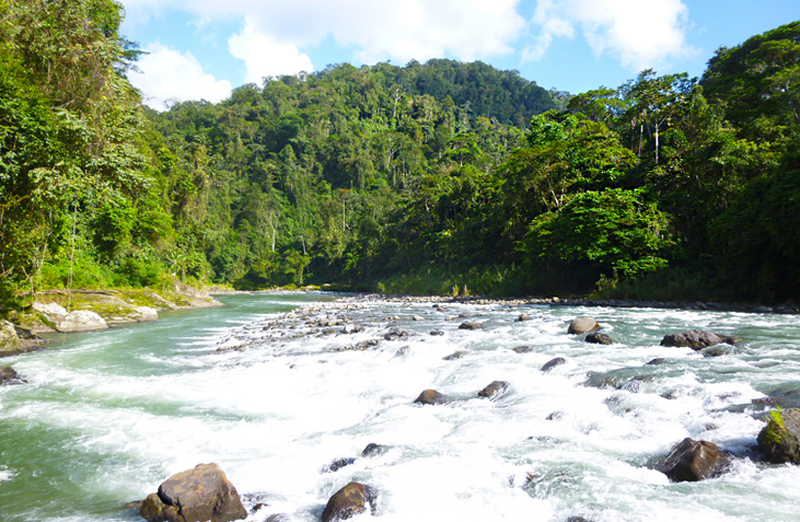 Besides the Pacuare Forest Reserve, this property is also within easy reach of the Barbilla National Park, the Turrialba Volcano National Park, the Guayabo National Park, the Tapanti National Park, and the Rio Macho Forest Reserve. The nearby town of Siquirres is the gateway to the Caribbean Coast and its boundless natural wonders including Braullio-Carillo, Manzanillo, Cahuita, and the world-renown biodiversity hotspot Tortuguero National Park.